Synchronize and sharing data between your CRM, accounting software (like MYOB, Reckon, Quickbooks etc) and your MS Outlook is completely automatic, amazingly useful, and beautiful to use. Sync and share your Outlook calendar with CRM. Sync contacts between CRM and your Outlook making them accessible on your mobile device. 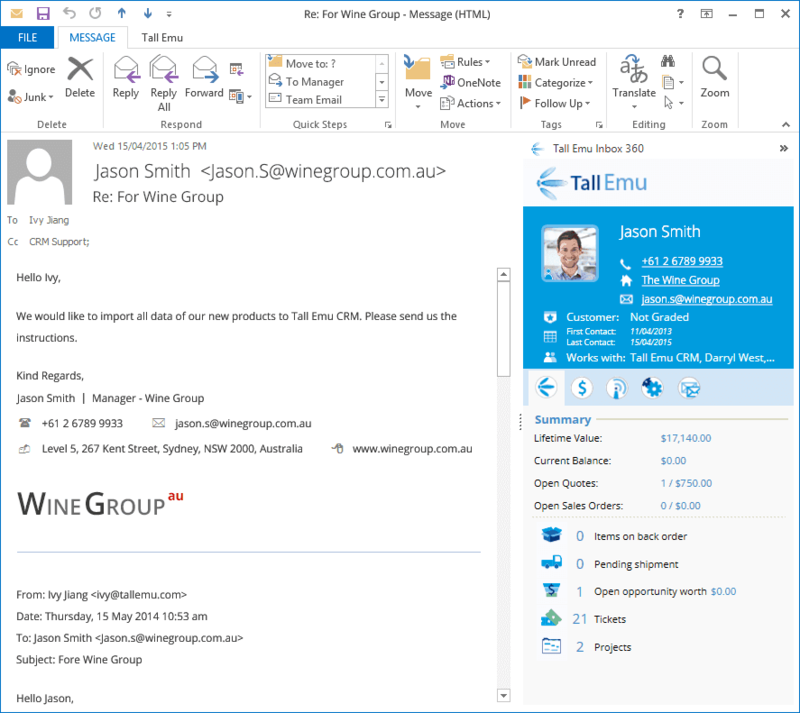 Using the Outlook Plugin, you can associate email messages with a customer – with an opportunity, a task, a project or a quote. You get a full history of yours – and others – email interactions with the client. This summary tab gives a quick snapshot of your relationship with this contact and company without needing to move anywhere. The sales summary shows open invoices and their due date.They’re hyperlinks – so they will open the corresponding invoice record.The same applies to “recent items purchased”. The sales history chart shows us sales to this client over the last 6 months. The influence tab shows us how much influence the person holds.If they have an open opportunity it will be displayed here. If they are an influencer in opportunities, they will be listed too.Business they’ve referred to us will also be shown. 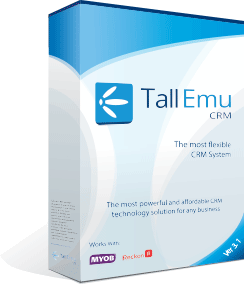 Inbox 360 works with Tall Emu CRM and MYOB, Reckon Accounts, EXO, Infusion and Empower. Having this in your inbox is addictive and gives you instant context to that contacts relationship with you. Q. What versions of Outlook are supported ? A. Inbox 360 works on Outlook 2007 and above. Q. Does it work with MS Exchange? A. Yes, it does. Q. Does the plugin work with Office 365? A. Yes, Office 365 is supported.